3 images. 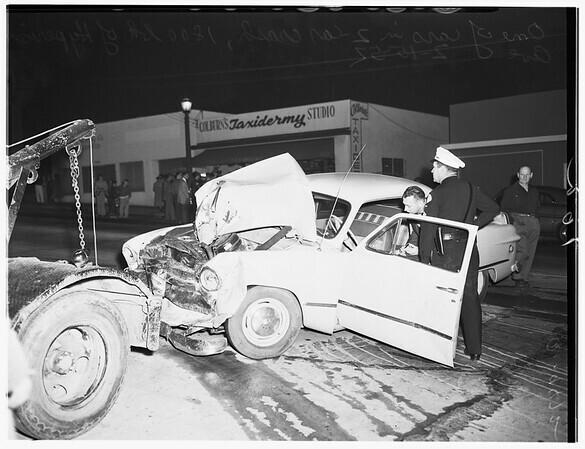 Auto accident, 15 February 1952. Two wrecked cars after head-on collision, 1800 block, Hyperion Avenue. (Sleeve states "A-9472").